A heightened understanding of nucleation and growth mechanisms is paramount if effective solution processing of organic-inorganic perovskite thin-films for optoelectronic applications is to be achieved. 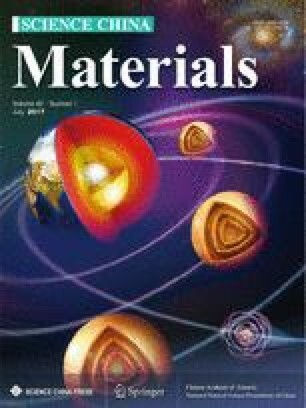 Many fabrication techniques have been utilized previously to develop high-performance perovskite layers but there remains an absence of a unifying model that describes accurately the formation of these materials from solution. The present study provides a thorough analysis of nucleation and growth kinetics underpinning the development of hybrid organic-inorganic perovskite thin-films. Through precise control of the perovskite growth conditions the spacing of heterogeneous nucleation sites was varied successfully from several hundred nanometers to several hundred microns. The crystalline regions surrounding these nuclei were found to comprise clusters of highly-oriented crystal domains exceeding 100 μm in diameter. However, no beneficial correlation was found between the size of these well-oriented grain-clusters and the optoelectronic performance. The formation of the perovskite microstructure features characteristics of both classical and non-classical growth mechanisms. The insights into perovskite thin-film growth developed by the present study provide clear implications for the development of future hybrid perovskite microstructures. Author contributions Pascoe A and Gu Q fabricated the perovskite films and conducted the experimental analysis. Rothmann M and Li W conducted the electron microscope imaging of the samples and analysis of diffraction patterns. Zhang Y performed the spatially resolved photoluminescence mapping. Scully A performed the time-resolved photoluminescence measurements. Lin X performed the X-ray diffraction measurements. Bach U and Cheng YB contributed to the experimental design and analysis. All authors contributed to general discussion and manuscript preparation. Supplementary information Supplementary data are available in the online version of the paper. Alexander R. Pascoe received his PhD in materials engineering from Monash University. He was previously a research fellow at the Department of Materials Science and Engineering, Monash University. His research focused on the device physics of hybrid organic–inorganic thin film photovoltaics. Yi-Bing Cheng is a professor in the Department of Materials Engineering at Monash University, Australia. He completed his undergraduate (1978) andMaster (1983) studies atWuhan University of Technology, China and received a PhD degree from the University of Newcastle-upon-Tyne, UK in 1989. He joined Monash University in 1991. He specializes in inorganicmaterials and composites. He started working on dye sensitized solar cells in 2001 and ismainly interested in solution processed solar cells. He is also a Thousand Talent Professor atWuhan University of Technology, China. Supplementary material is available for this article at 10.1007/s40843-017-9043-y and is accessible for authorized users. 如何利用溶液法制备高质量、高效率的有机-无机杂化钙钛矿薄膜光电器件, 取决于对该体系的核化和晶体生长机理的深入研究.尽管用很多方法可以制备出高性能的钙钛矿薄膜, 到目前为止, 还缺乏一个准确且统一的模型, 去解释钙钛矿晶体是如何从溶液中析出生长的过程. 本文通过对晶体核化和生长动力学的详细研究, 提出了有机-无机杂化钙钛矿薄膜材料的形成机制. 通过精准控制钙钛矿晶粒生长的条件, 异质晶核之间的距离能够在几百纳米到几百微米之间调控. 我们还发现在晶核周围直径超过100微米范围, 聚集着取向高度一致的晶体团簇. 但是这些晶体团簇的尺寸大小, 与提高钙钛矿光电器件的性能并没有什么直接的对应关系; 钙钛矿材料微观结构的形成机理,兼有经典和非经典晶体生长的特征. 因此对钙钛矿薄膜生长的深入研究, 将有助于进一步控制杂化钙钛矿薄膜的微观结构. The authors acknowledge the financial support from the Australian Renewable Energy Agency (ARENA), the Australian Centre for Advanced Photovoltaics (ACAP) and the ARC Centre of Excellence in Exciton Science. The authors also acknowledge the use of the facilities at Monash Centre for Electron Microscopy (MCEM).